How do we prepare for life’s big event if we can’t talk about it or even think about it? We live in culture that is not only afraid of death - death in our culture has become a phobia and a taboo. How do we prepare for life’s big event if we can’t talk about it or even think about it? The key is getting comfortable with being uncomfortable. Cassie will share the importance of this practice, not only to help get us more comfortable with and prepare for own death, but to help us live the life we really desire. Since she was a kid, Cassie has felt a natural connection to death and a deep desire to serve others. Feeling drawn to providing comfort and companionship to the dying, she started volunteering with hospice in 2010. From there, her interest in death work grew into a profession and she is currently the Director of Operations at Carolina Memorial Sanctuary, a conservation and green cemetery located in the Asheville area, where in addition to helping manage the business, she digs graves, gives tours, and assists with burials. She also provides assistance with the Center for End of Life Transitions, which offers death and dying workshops and home funeral assistance. 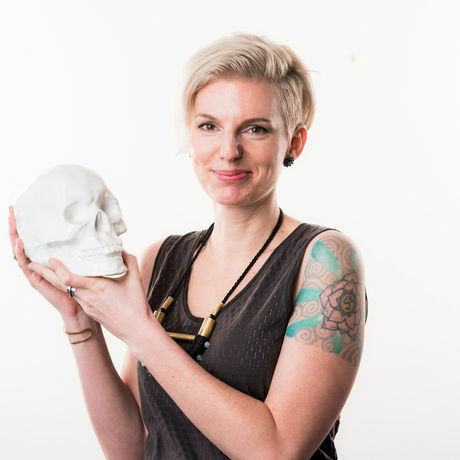 Cassie recently started her passion project, Death Activism, which aims to help people become more comfortable with and prepare for death, using education, art, and conversation as a way to help people engage more with death. When asked why she has chosen to follow this path: The idea of people dying alone really touched my heart, which is what originally inspired me to volunteer with hospice. I feel called to death work out of a deep love for others and the desire to provide comfort through such a difficult time. Although death can be difficult, it also captures the beauty of life and how precious it truly is.